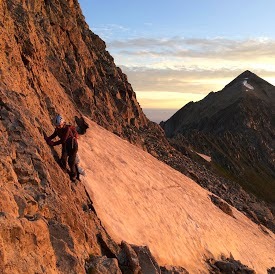 Just minutes out of camp, Jaimee and I are huffing our way in the pitch blackness of early morning (or what non-climbers might refer to as “the middle of the night”) toward our goal: Capitol Peak (14,131 ft / 3,307 m). 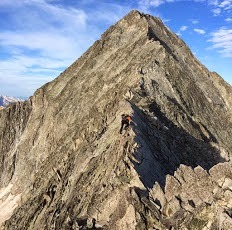 Considered one of the toughest of the beloved “Colorado 14ers” (mountains with an elevation of 14,000 ft or higher in the US state of Colorado), Capitol is no K2 nor is the standard route the Eiger Nordwand, but the easiest route on Capitol demands alpine endurance, reliable decision making, bullet-proof scrambling, and solid route-finding skills - plus a cool head for fall exposure. Day dawns clear and bright as we reach the ridge crest and the difficulties begin; it’s at this point I realize I left my A-Game at home. Feeling uncharacteristically slow-witted and timid, I don’t trust my route-finding in this loose and steep terrain, and soon let Jaimee knows I need to rely on her route-finding and follow her lead. I know this is a big responsibility I place on her shoulders, but Jaimee and I have shared challenging terrain before, and I know she’s up to the task. For my part, I place a ton of trust in Jaimee to blaze our way through questionable terrain. A few hours of steep grunt work, vigorous scrambling, sketchy route-finding, and eye-popping exposure pass before we find our way to the summit. The route is deliciously complex, the rock unpredictable and loose, and the airiness exhilarating. But the summit is only the half-way point. Now we retrace our route back to the saddle, finally relieved to hit “terra firma” where we can walk upright and relax a bit. Strolling down from the saddle through the wildflowers, a wide-open alpine valley below us, I thank Jaimee. I appreciate that she was on her A-Game today and that I was able to rely on her skill and trouble-shooting to get me through the challenging parts of the climb. The hike back to camp gives me time to ponder the importance of quality partners in climbing and the necessity of nurturing relationships with these people. As discussed at length in my post “Balancing Hard Skills and Soft Skills,” it can be difficult enough to find a talented climbing jerk or a nice friend with no climbing skills, so by golly when you find a level-headed friend like Jaimee with a good sense of humor who can handle tough terrain, take care of this person! 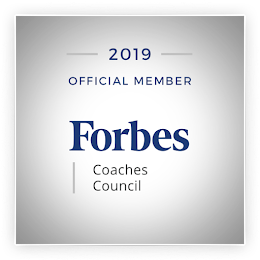 If your business model relies on a distributed sales channel, value-added resellers, service vendors, or any other partner relationship, please listen up: Your VoC / CX program needs to be leveraged to enhance your relationship with these valued partners. After all, in some industries, the partner is the face of your company the client. Here are ways to use VoC / CX to enhance and nurture your partner relationships. It’s easy to get so wrapped up in listening to our customers and employees that we forget to listen to another key constituency: Our partners. Partner feedback become background noise, something we’ll “get to” when we have the time. These partners deserve a voice, as well, and that voice should be acted upon tactically and woven into the corporate strategy just like we do with customer and employee feedback. Your partners are a treasure trove of insight about your customer base. Are you listening? Like your employees, your partners know customer painpoints, where the service model breaks down, and your customer likes and dislikes. Listen to the wisdom your partners possess thanks to day-to-day contact with your end customers. Keep a feedback channel wide-open (think electronic comment box) to conveniently capture this feedback. Let it be known that such comments, compliments, complaints and innovation ideas are more than welcome. During a recent onsite, a client shared with me the dashboards he shares with his partners. The field vendors servicing this company’s clients have access to Voice of Customer data and insights through a login to my company’s portal. Can you imagine extending this level of data transparency to your partners? Sadly, if you answer is “no way!” you are in the majority. But I challenge in response: How dare YOU withhold valuable insights from your partners solicited from your joint customer base. Leverage customer insights among your partner base to improve the customer experience and resist holding secrets. This summer a report drafted for a client clearly indicated their partner channel was killing their customer satisfaction and Net Promoter scores. I suggested this client take a careful look at partner relationships detrimental to their customer experience and alter or eliminate these relationships. The response from this client was to order me to remove this finding from the report. “We are not making any changes to our partner channel.” How fair a practice is it to treat quality, trustworthy, producing partners who take excellent care of your customers as equals to those partners who are killing your customer satisfaction one interaction at a time? By contrast, a highly action-oriented client informed me they actually reduced one partner’s business flow in response to weak customer feedback scores. Which partner strategy do you predict will be most effective in the long-run? Just as I expressed my gratitude to Jaimee for taking the lead on Capitol Peak, please remember to say “Thank You” to your valued partners. Thank you for providing timely service to our customers. Thank you for believing in our product. Thank you for marching in line with our vision. Thank you for driving a positive customer experience. Good partners are hard to come by but easy to take for granted. Don’t let your business partners get lost in the business intelligence shuffle. Integrate them into your customer experience strategy and appreciate the role they play in your business model. Nurture the relationships with your partners, and they will take care of your customers in return. Perhaps there is also something about picking your partners wisely? And as an aside "eye popping exposure" strikes me as something to read about, not experience. Absolutely, James, wise partner selection is important. And continuing to act on customer feedback about partners helps to continue helping partners to perform at their best...and also supports tough decisions when it becomes apparent a partner is not a good fit for your customers / business model.